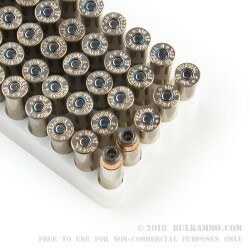 This is a great handgun load that has proven street cred in the law enforcement community. The history of this particular cartridge is overwhelming. 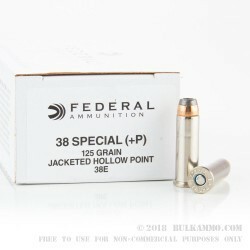 For those who have concealed carry or other .38 Special revolvers, this is one of the best loads you can put in it from an efficacy perspective. The proven results in real-world scenarios for this load offer a large breadth of serious positive outcomes, with it always being a great performer in the heat of the moment. NOTE: this is a +P 38 special round, which denotes that it is an overpressure load, not suitable for some firearms. Please ensure your firearm is capable of firing +P ammunition through the owner’s manual or by speaking with a competent gun expert or industry specialist. 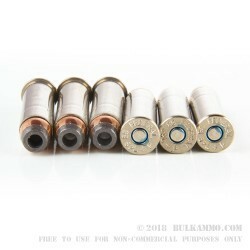 That +P performance is evident comparatively to other rounds in the .38 Special marketplace with the following static ballistics: 950 feet per second velocity and 250 ft. lbs. of energy. You will routinely get 12+ inches of penetration in 10% ballistic Gelatin. Interestingly, this round had a lot to do with early ballistic testing in the FBI crime lab – where the 10% BG test originated. This updated version of the original round features a reloadable nickel plated brass casing with a Boxer primer too. 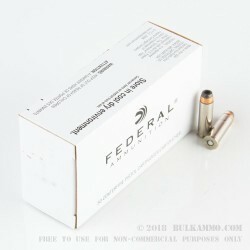 Want to buy this ammo in bulk and save a bundle? Check out the 1,000 round case of this exact load for sale here.